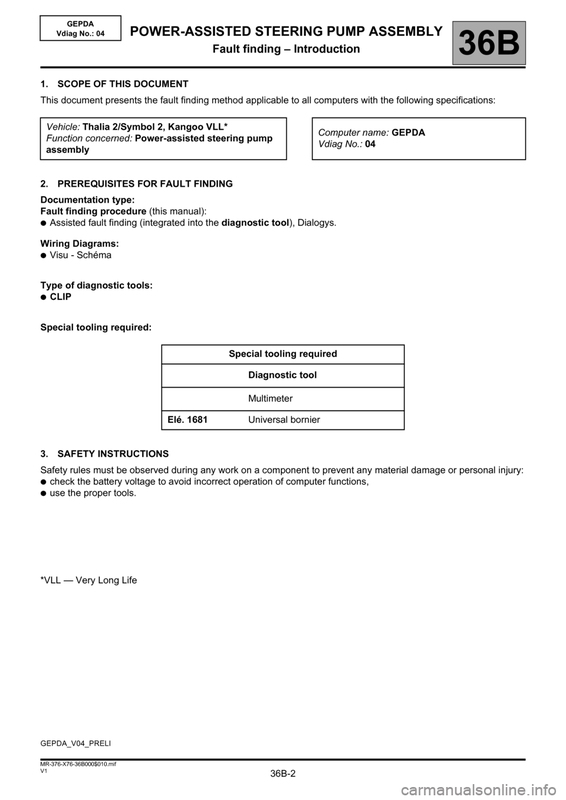 ●Assisted fault finding (integrated into the diagnostic tool), Dialogys. 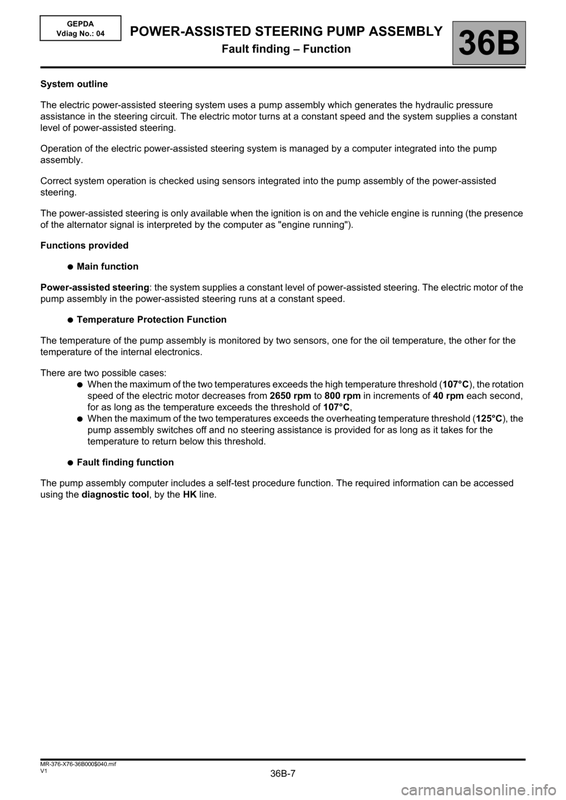 of the alternator signal is interpreted by the computer as "engine running"). pump assembly in the power-assisted steering runs at a constant speed. temperature of the internal electronics. temperature to return below this threshold. using the diagnostic tool, by the HK line. 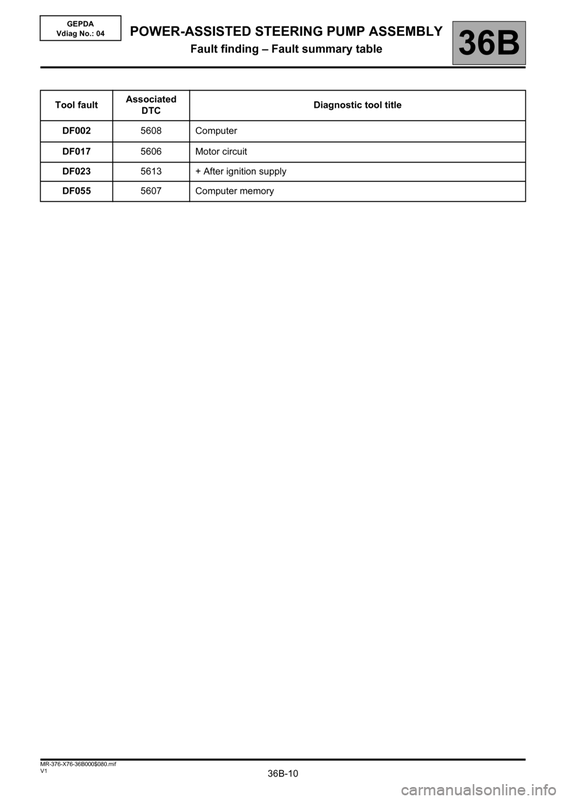 This command permits manual entry of the vehicle's VIN into the computer. 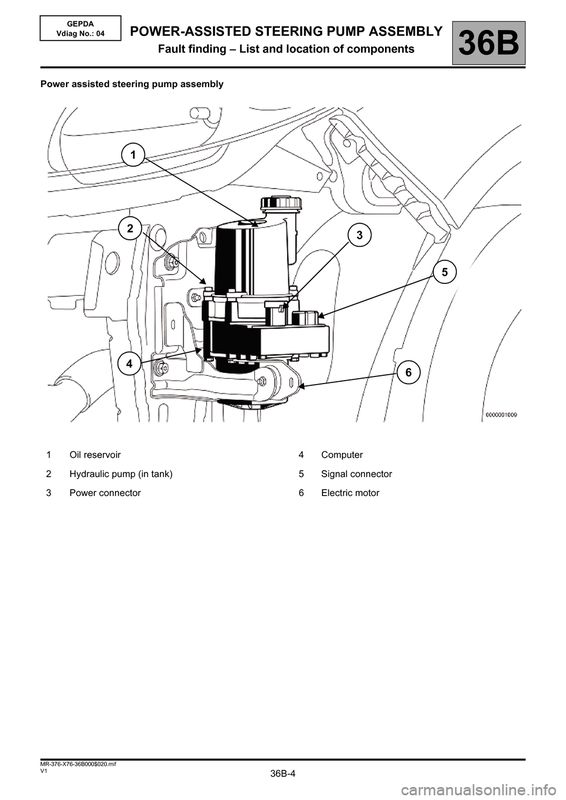 Use this command each time the pump assembly of the power-assisted steering is replaced. 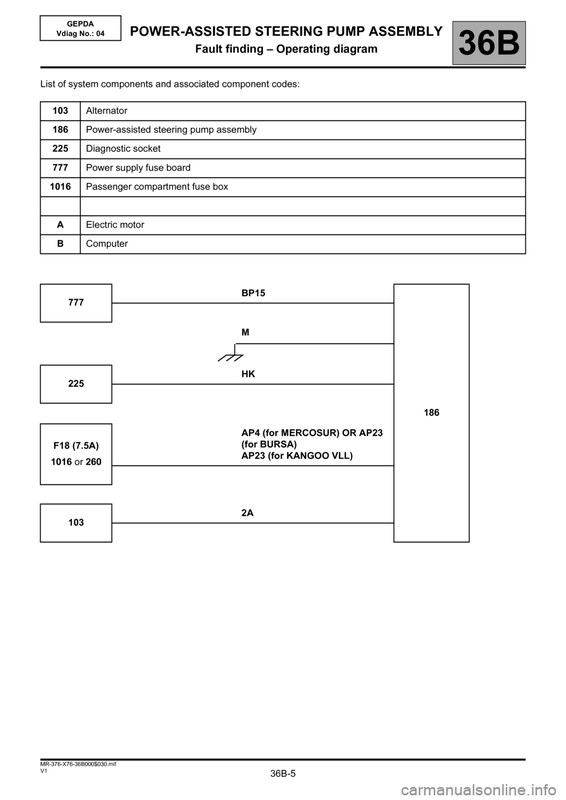 Check that the configuration is correct by reading the identification ID010 V.I.N. code. 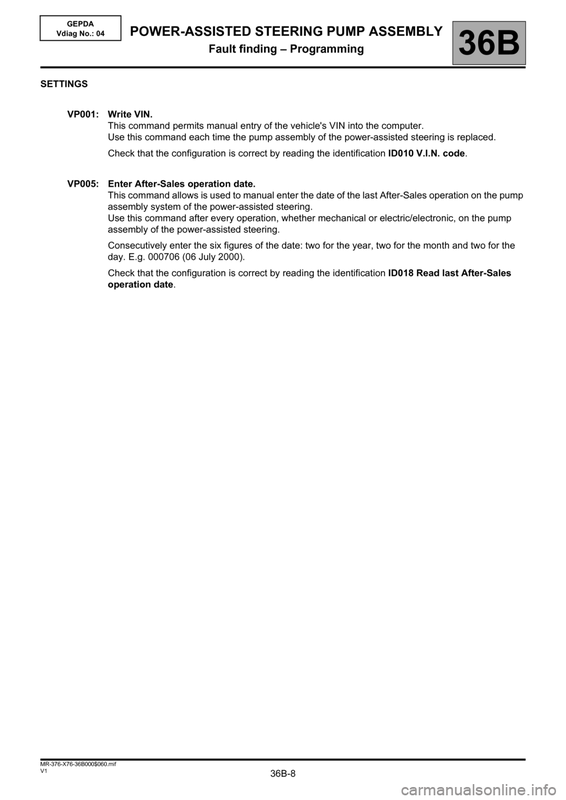 VP005: Enter After-Sales operation date. assembly system of the power-assisted steering. 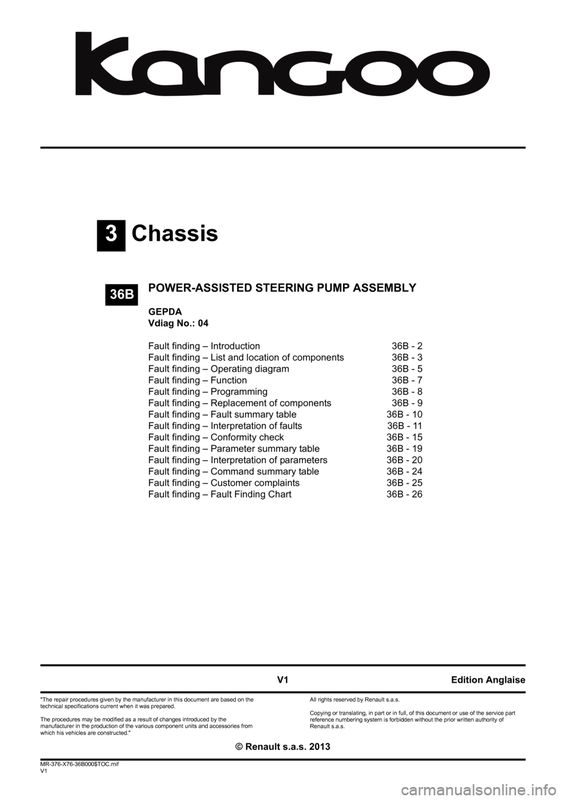 assembly of the power-assisted steering. day. E.g. 000706 (06 July 2000). 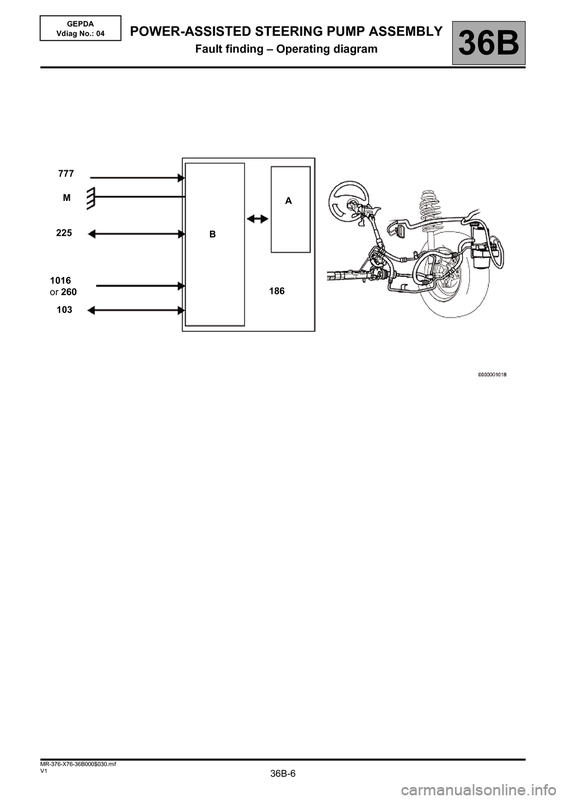 The power-assisted steering pump assembly may only be replaced after approval from Techline. 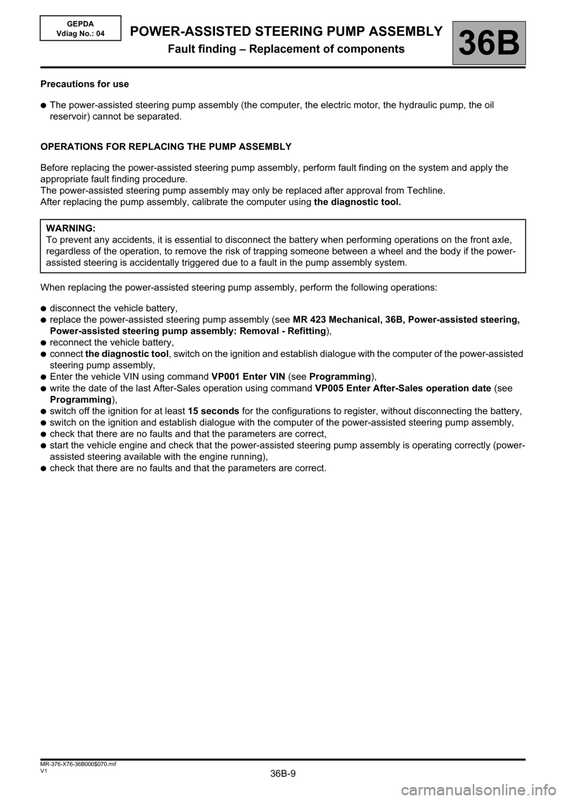 After replacing the pump assembly, calibrate the computer using the diagnostic tool. 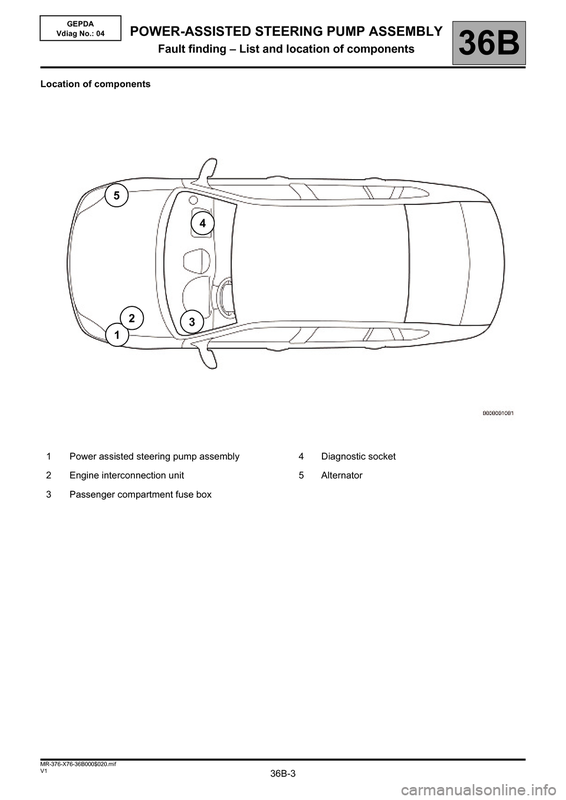 assisted steering is accidentally triggered due to a fault in the pump assembly system.